Neil Owen is Managing Director of an electronics manufacturing company turning over in excess of £14M and employing approximately 100 staff. Neil has been a school Governor since 2002. Initially at Durrington Infants School where he was Chair of Finance and Vice Chair of Governors. Then St Edmund’s Girls’ School (Academy) where he was Chair of Finance, Chair of the Trust and a Trust Member. Following on from this he lead the team who set up Salisbury Sixth Form College (Free School) and then continued as Chair of Finance and Chair of Governors. Salisbury Sixth Form College is now part of Magna Learning Partnership (MLP). While still leading S6C, Neil assisted the three founding schools form MLP, chairing the interim board and then continuing to date as Chair of the Trust. 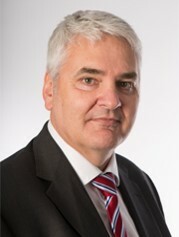 During his time as a Governor Neil has attended various Governor training events including finance, H&S awareness, Ofsted awareness, Taking-the-Chair training etc. In addition Neil was a member of the Schools Forum for Wiltshire for two years and completed a four year term as Parent Governor Representative on the Wiltshire Children’s Services Select Committee. Neil’s education includes a Masters in Business Administration which includes all aspects of running a company. Neil’s career started in the Royal Air Force as an Electronics Engineer, completing an apprenticeship at RAF Locking specialising in radar. Neil has continued to work within the electronics industry since leaving the RAF, working in SMEs and a FTSE 100 group in corporate role managing a spend of £60M a year. 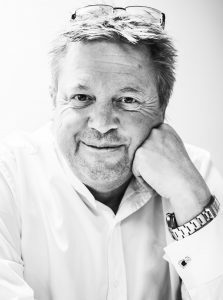 In 2003 Neil, along with a colleague, carried out a pre-pack management buyout of Speedboard Ltd forming a new company Speedboard Assembly Services Ltd. Over 15 years the company has successfully grown from £2M to £13M and in 2018 was acquired by a larger group. Neil is continuing in his role as MD of the factory within the larger group. Liz is Deputy Director of Procurement Services for Public Health England and interfaces regularly with the Department of Health, Cabinet Office and other Government organisations. The role is responsible for achieving value for money on a spend of circa £300m on a wide range of goods and services including capital programmes. In addition to her commercial skills, Liz has managed teams of over 40 staff, led change management and project managed programmes (shared services, collaboration working), and implemented various back office procure to pay systems. Liz is passionate about developing staff and has led various programmes to raise commercial skills across health nationally, using her skills and experience from working on a European basis in two global pharmaceutical organisations and more recently from working at Salisbury NHS Foundation Trust. She is keen to see young people achieve their potential and to become equipped for the work place. Liz has been regularly involved in working with children and teenagers as both leader and helper at Church. Liz has also been a member of the Parochial Church Council at a number of churches. Liz’s education includes an honours degree in French and Religious Studies, and a post graduate qualification in French, Italian and Marketing. This has been further enhanced with an MBA from the University of Bath to provide broader business and financial skills. She was a foundation governor and Vice Chair at St Edmund’s Girls’ School for five years. 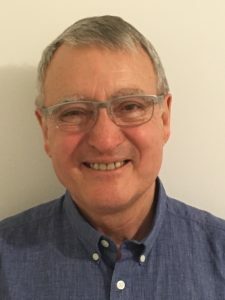 Harold is the former Team Rector of Dorchester, Dorset, formerly Chair of the Salisbury Diocesan Board of Education (now serving as chair of its Finance and Staffing Committee), and vice chair of the Diocese of Salisbury Academy Trust. Harold has extensive experience both in education and in the Church as a Parish Priest. He served for 28 years as a secondary teacher, the last 10 years as deputy head. For more than 20 years he served as Church of England denominational inspector (now known as SIAMS) and worked for a number of different dioceses in this capacity. After turning to full-time parish work he maintained an extensive involvement in local schools in the Lavington area (where he was first a Parish Priest) and then later, Dorchester and joined the Diocesan Board of Education. He continues to serve as Church Foundation Governor of a village school near Warminster. In recent years Harold has been at the centre of helping to shape the way forward for Church Schools in Wiltshire and Dorset in the face of the whirlwind of changes and developments in government schools’ policies. Harold’s experience includes the establishment of the Diocesan multi-academy Trust, one of the faster growing trusts in the country. Thus, an understanding of governance, priorities for effective work of the Trust and direct involvement with new schools in Wiltshire entering the Trust have been an essential feature of his work. Now living in Warminster, but with considerable knowledge and experience of secondary education both in Salisbury and beyond, Harold continues to work for and with the Diocesan Board of Education in support of all Church Schools. 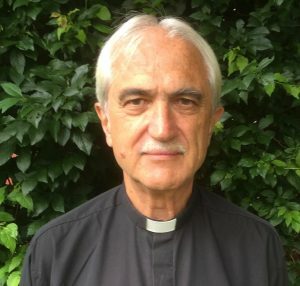 Raised and educated in London, Harold has a degree in Divinity and Education from London University, is a qualified teacher, an ordained priest and honorary canon of Salisbury Cathedral. Magna Learning Partnership’s team of Trustees possess combined skills which offer a wealth of experience to support MLP in its activities. 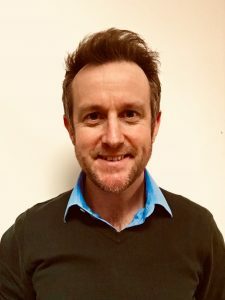 Mark is Director of Enterprise Marketing & Sales Operations at Vodafone, responsible for the development of business-to-business propositions, sales channels and commercial offers across Vodafone’s businesses worldwide. 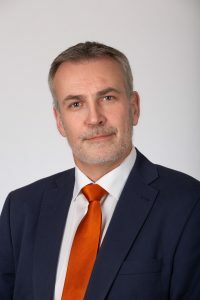 He joined Vodafone in 2007, as a member of the leadership team that created Vodafone’s multinational sales channel, Vodafone Global Enterprise, and subsequently led Vodafone’s £1.8bn acquisition and integration of Cable & Wireless Worldwide. 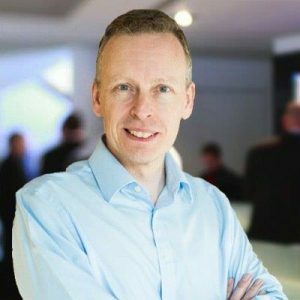 Prior to joining Vodafone, Mark held sales, marketing and operational roles in a variety of technology and consulting companies, including BT, Oxford Instruments and PA Consulting Group. He is a graduate of the Universities of Manchester and Oxford Brookes, and of Warwick Business School. Nick has worked for the John Lewis Partnership since 2010 enjoying a variety of roles across operational leadership, programme, project & change management and more recently as an internal organisation consultant. Currently his focus has been on supporting the strategic transformation programmes, from a people perspective, in both brands of Waitrose and John Lewis. Prior to this Nick spent seven years in the Royal Air Force, spending much of his service on operations in Iraq and Afghanistan. Nick is married to Stephanie who serves in the British Army as a Lawyer. They have made their home in Salisbury with their two young girls and looking forward to being a little more settled in life – with the odd adventure thrown in of course. Joining from the Governing board of Bemerton St John he has enjoyed 3 years as the Finance and Premises Chair and foundation governor. He is a Fellow of Chartered Management Institute, a graduate of Plymouth University and holds an MBA from the University of Bath. Mark joined the insurance industry direct from school as a Trainee Motor Underwriter at Eclipse Motor Policies at Lloyds in 1977. Over the next 11 years he became a Lloyd’s underwriter then a Lloyds broker. In 1988 he founded A Quote Insurance Brokers, a private lines intermediary; he took the company from its inception to being sold to Highway Insurance Company in 2004 – he then continued as CEO until 2006. In 2007 Mark founded Be Wiser Insurance. As CEO and Chairman he has seen the company grow to a premium income in excess of £125 million and 200,000 clients, whilst making profits every year since its inception. Be Wiser Insurance is one of the UK’s fastest growing and largest privately owned insurance brokers which saw the expansion in to Swindon in 2016, creating up to 350 jobs over the next 3 years. This ability to grow is down to the quality and knowledge of Be Wiser’s staff. During the last 3 years Be Wiser has invested over £2.5 million in setting up Be Wiser University for Insurance. BUFI will produce over 100 ACII qualified members of staff a year and has already Cert CII qualified all customer facing staff in Be Wiser. To offer training all the way through the Chartered Insurance Institute professional qualifications is unique for a business of Be Wiser’s size, and demonstrates the importance that Mark places on each and every member of staff. Mark gives generously of his time out of the limelight in many other forums; a cause that is close to his heart is training new talent in the broker market. Something Be Wiser has backed up with actions – winning the UK Broker Training Award 2016. More than 300 apprentices have successfully completed apprenticeships with Be Wiser in the last 3 years. Mark saw apprenticeship schemes as a chance to develop prospects and opportunities for young people, meeting new legal requirements and providing a starting point for working life. Apprenticeships have also given Be Wiser Insurance a platform to up-skill existing staff. 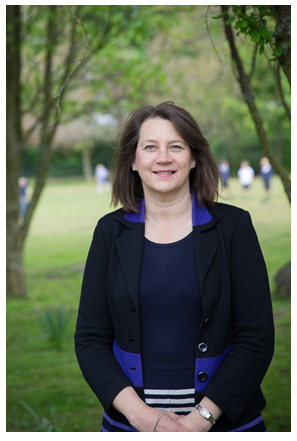 Sarah has been Headteacher of St Edmund’s Girls’ School since September 2011 and was previously Deputy Headteacher at a large mixed comprehensive in Trowbridge. Sarah led the education bid for the Free School which opened in 2014 as Salisbury Sixth Form College. Nicola Coupe joined the MLP as a Trustee in May 2018. 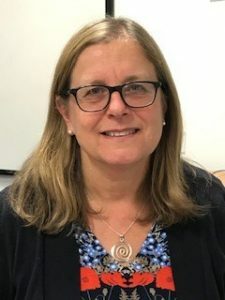 Graduating with a degree in Junior/Middle School Education with Science and Maths as a specialism, she has worked for over 30 years as a teacher and school leader in primary, secondary and all-through schools. Nicola has worked in Reading, London and, since 2009, Wiltshire. As a primary Headteacher, she has a record of school improvement as well as experience of the challenges and benefits of forming and growing a Multi Academy Trust. From 2012, Nicola was ‘Primary Strategy Lead’ within Excalibur Academies Trust (a multi-academy trust of 9 primary and secondary schools in Wiltshire, Bristol and Berkshire). She is also an adviser on The Prince’s Teaching Institute’s (PTI) research-led Primary Leadership Programme. Her current role is as a School Improvement Adviser for Salisbury Diocese’s Board of Education. She is a Foundation Trustee for MLP and is just as keen to ensure that the Christian distinctiveness of our academies is as strong as our academic outcomes. In these changing and exciting times in education, Nicola is looking forward to working with the MLP Trustees to support continued academy improvements. 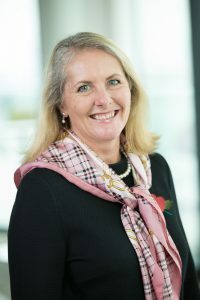 Julia Hastings is a Management Consultant with PwC, specialising in designing and implementing strategic change across business infrastructure. She started her career qualifying as an accountant (CIMA) in industry, then worked for many years in Financial Services before joining PwC. 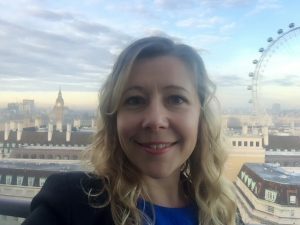 Here she got involved with a project for a multi-academy trust that brought her in contact with the Department of Education and their Academy Ambassadors scheme – which aims to introduce business people to school boards. She joined the board of Sarum Academy in January 2016 (for a period of 18 months) and the MLP board in June 2017 looking to use the change and financial experience that she has for the good of our community and the young people in it, and in support of our fabulous teachers who now also have to run a business alongside delivering in the classroom. Julia and her husband live in the west of Salisbury and have four school aged children. Outside of PwC and MLP commitments, Julia can be seen frantically juggling to try and squeeze all of the following into her life … Family: taxi driving, cheerleading, cultural enlightenment and wardrobe management for 4 children. Fitness: social running, pilates matwork classes, family table tennis and lane swimming. Fun: playing Bridge, growing flowers, theatre, reading, entertaining, sunshine holidays. Fan: Rugby – supporter of multiple local U17/1st XV sides, PwC and England. 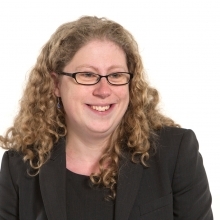 Melissa is currently the Group Head of Tax for Merlin Entertainments plc. Merlin operates 124 attractions in 25 countries and is Europe’s largest entertainments company, operating iconic brands such as Madame Tussauds, the London Eye, LEGOLAND and Thorpe Park. Melissa is responsible for setting and delivering the groups tax strategy across the globe, is a member of the groups Senior Finance Leadership team and heads up a global team of 10 people. Responsible for both direct and indirect taxes, Melissa has extensive experience in all aspects of corporate tax and VAT as well as employment status, National Minimum Wage and other areas of finance such as management accounts, technical accounting, budgeting and forecasting. Melissa has previous experience working with charities having been involved with a local Barnardo’s professional fundraising group for over 8 years. Sharon is a Business Development Manager of a large GP surgery, with 22,000 patients which employs approximately 80 staff. Sharon has been a school Governor for 7 years at St Edmund’s Girl’s School (Academy) where she was Chair of Staffing and a governor on the Laverstock Collaborative Committee (Wyvern College, St. Joseph’s Catholic School and St. Edmund’s Girl’s School) and at Salisbury Sixth Form College (Academy – via Free School initiative) where she is Chair of Staffing, Vice- Chair of Governors, governor of proposer group and 1 of 4 Founding Trust Members. During her time as Governor Sharon has attended various Governor training and events, with a focus on safeguarding. Sharon’s education includes a degree in Environmental health which includes Health and Safety, housing construction and personnel management. Her career started in Local Government working as an Environmental Health Officer specialising in Housing. Taking the transferable skills she moved into the NHS managing the successful merger of 4 GP practices, delivered economies of scale whilst developing new primary health care services and designed and managed the build of a new Health Care Centre. Qualifying in 2012, Kate practises as a property solicitor in Salisbury. Her legal training has given her grounding in business law as well as education and charity law as she has practised in all these areas. Property law also requires careful consideration of the parties involved and the conflicts which may arise and involves trusts and the corresponding legalities on a regular basis. Kate has been a governor of Wyvern College since the end of 2012 and her previous voluntary roles include working as a volunteer councillor for Childline. Peter is retired and a former HR Director of the Whitbread brewing business (which became InBev in the UK&Ireland), former Chairman of Bedford Athletics Club and the founding chairman of England Athletics. (Peter is the father of Paula Radcliffe). Norwich and Milton Keynes), an organisation focused on reducing NEETs, supporting work experience and delivering summer school programmes as well as a range of training & study programmes. Peter has strong school governance experience as Governor of an upper school in Bedfordshire for 20 years, and since relocating to Wiltshire at The Trafalgar School in Downton where Peter has been Vice Chair of Governors and Chair of the Health & Safety Committee. He is also a governor at New Forest Primary School. MLP are seeking to appoint a new Foundation Trustee to join the Trust Board. Please refer to the Person Specification for full details. Each school in the Magna Learning Partnership has a Local Governing Body (LGB) which provides focused governance at a local level. Membership of each LGB includes at least one elected parent, together with staff and community representation. LGBs are committees of the Magna Learning Partnership Board of Trustees.